Kuon-ji (Kuon Temple) is a temple founded by a Buddhist monk NichirenW in 1281, now the head temple of the Nichiren Buddhist sect. Nichiren (1222 – 1282) was a Buddhist monk who lived during Kamakura periodW (1185–1333). Nichiren’s principle was a devotion to the Lotus SutraW (entitled ‘Myōhō-Renge-Kyō in Japanese), which contained Gautama Buddha’s principle towards the end of his life, as the exclusive means to attain enlightenment. Nichiren believed that the Lotus Sutra contained the every essence of Gautama Buddha’s principles related to the cause of every karmaW upon life. This devotion to the Lotus Sutra entails the chanting of Namu-Myo-Ho-Ren-Ge-Kyo (referred to as “OdaimokuW”) as the essential practice of his teachings. 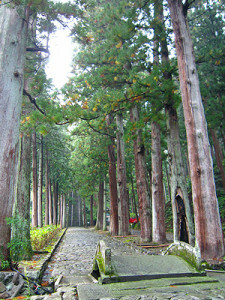 Nichiren studied Buddism in Enryaku-jiW at Mount HieiW in Kyoto like other Buddhist sect principals did. Nichiren engaged in writing, publishing various works including ‘Rissho Ankoku Ron’, treatise on establishing the correct teachings of the Land’s peace. He thought that the government should recognize and accept that his teachings are the correct form of Buddhism to achieve peace and prosperity in the land and for the people. Nichiren did not hesitate to fight with other Buddhism sects in order to protest his belief and his principles. His disiple monks were in fact thought to be as fighters. For Nichiren’s attitude on carrying out his own intentions of his Buddhism philosophy, the government positioned him as a menace and captured him and sent him to an island of exile. Still, Nichiren and his disciple monks did not give up on their missionary work giving lectures on streets to the public and not the nobility. The simplicity of his discipline, enchanting ‘Namu-Myo-Ho-Ren-Ge-Kyo’ would bring one’s peace, helped to increase his followers. It didn’t take much time for Nichiren sect to become one of the major sects of Buddhism in Japan. While Nichiren and his disciples preached in the public, Nichiren also offered his idea of administrative reform to the Kamakura Government three times though every offer he had made was denied. 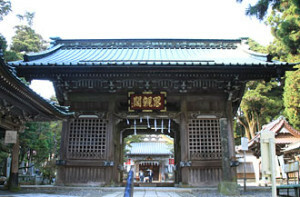 After his failure on his action towards the government, he gave up and stayed in the place near to where Kuon-ji now exists, set up a hermitage that became the centre of Nichiren Buddhism. 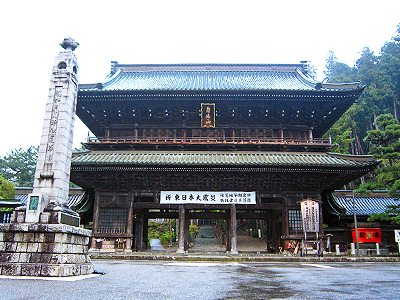 In 1281, they moved to Mount Minobu, later became a temple, Kuon-ji. 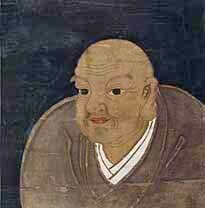 In 1282, Nichiren died in the house of Munenaka Ikegami, a BushiW(Samurai) of Musashi ProcinceW and a strong parishioner of Nishiren Buddhism. The place is now Ikegami Honmon-jiW in Tokyo, the main temple of Nichiren Buddhism. After his death, his body was cremated and the ashes were taken back regarding his will, now placed in the mausoleum of the temple. 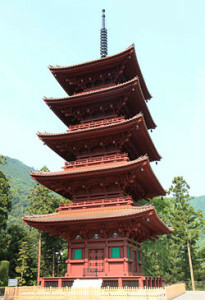 Now, knowing the rough outline of how Kuon Temple was established, why not see the actual place? 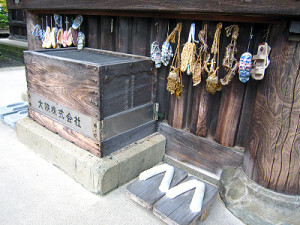 When you reach Mount Minobu, the first things to greet you would be shops selling Nichiren Buddhist equipment. They are interesting to see for those who are not familiar with Buddhism. Some of the equipment should be a good souvenir, like incense, praying beads and lotus-shaped candles. There are also shop selling traditional ManjuW, a steamed dumplings filled with sweet azuki beanW paste, coffee shops and restaurants. It would be better to take a short rest here first if you are going to visit the Temple on your own feet, like the old pilgrims did. 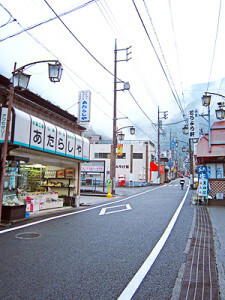 So once you are ready, the first gate greeting you after walking through the small highstreet of Mount Minobu would be the huge ‘San-mon’. You would see two big statues of guarding gods on both sides of this gate. 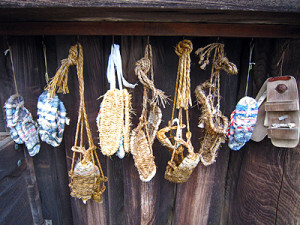 Here you will also see some straw made sandals dedicated, hanged on the crossbeam. This is now an event wishing for one’s health which in the past was a thought of thanks and a wish to go back home safely since their way here should have been very tough. 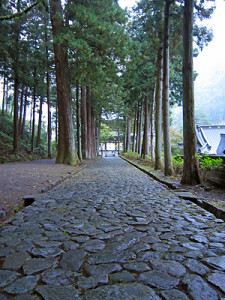 Passing through this huge gate, there you would see a leading stone pavement with tall Japanese cedar trees on both sides. You will be astonished by the distinctive atmosphere once you pass through the gate and realize that the place is sacred. 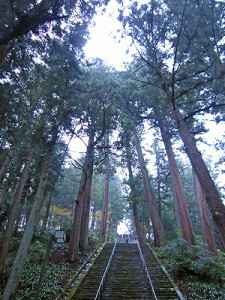 You will continue walking this pavement if you are taking the old way but even if you wish to take the modern way up by going on an elevator, looking up from the bottom of ‘Bodai Tei’ (meaning ‘The Steps of Enlightenment’) will give you an idea of how Nichiren Buddhism wanted to position their Buddhism. 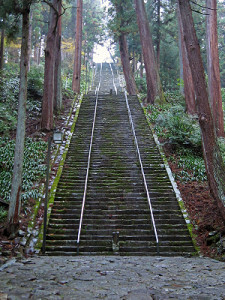 The stairs have 287 steep steps of stone. You may recognize the fighting spirit of Nichiren who put the importance on hard work and practicing in daily life…. 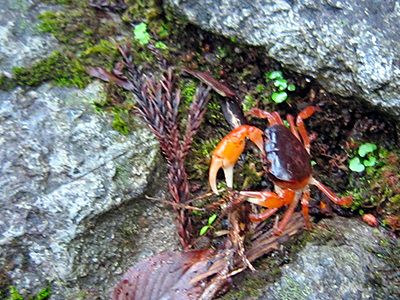 Relaxing moment… you may find freshwater crab while you’re climbing, cheering you up! Those of you who have given up climbing the steep steps will take an elevator taking you up to the temple building site. 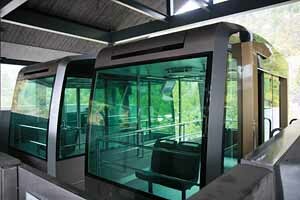 To take an elevator up, you should take your car with you up the road, passing in front of ‘San-mon’ gate. There is a road leading to top of the mountain on the left side of the gate. The road will lead you to a car park where the elevator is. Once you are up at the temple building site, go to the ‘Main Temple’ building first to get all your information. There should be leaflets in English, so get them first! **PLEASE NOTE : When you visit the site, especially in Summer, take cardigans or wraps with you so that your bare shoulder or back is covered. Bare thigh showing for wearing short pants should also be covered. Unlike temples in South East Asia, there is no service of lending wraps, so be sure to take your own with you when you visit temples or shrines in hot weather. Temples and shrines are sacred places of worship and here needs your respect even if you don’t believe in it! 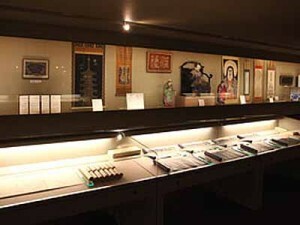 There is also a museum if you are interested in Buddhism arts in the site. 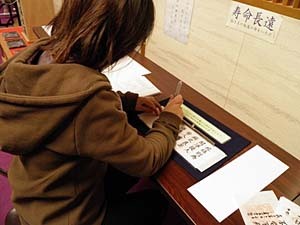 At the entrance, you could also experience transcribing a sutura in brush and ink. After looking around the site, you could take a rope-way up taking you to the inner shrine of Kuon-ji. 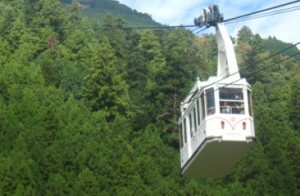 The rope-way is not only for going to the inner shrine but also for hiking and trekking Mount MinobuW. There are 3 observation decks where you can see the great panorama with Akaishi MountainsW also known as Southern Alps in Japan. You can also see Mt. Fuji from here, too! If you have time, we recommend you to stay at least a night because it will take quite a lot of time to see everything of Kuon-ji and it is worth seeing the morning duty of the monks which starts at 5:30 from April to September, and at 6 from October to March in Hondo, Main temple. 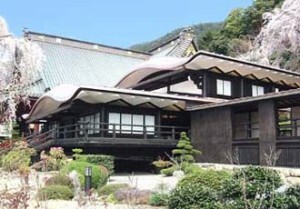 There are 20 ‘Shukubo’, temples where you can eat and sleep like Ryokan (Japanese inn)W around Kuon-ji . The average cost of the ‘Shukubo’ is around 8,000 yen per person, including dinner and breakfast. The meals are vegetarian. If you are interested in staying at ‘Shukubo’ contact us by e-mail for further help. 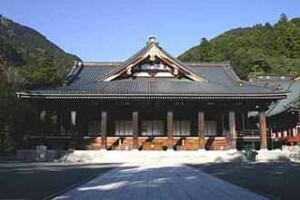 **Some photos on this page are from Kuon Temple Official Site. 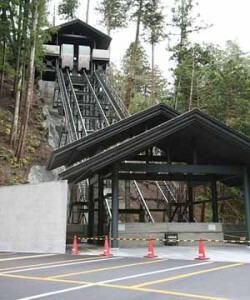 Address : 3567 Minobu, Minobu-cho, Minamikoma-gun, YAMANASHI Pref. Closed : Thursday (if thursday is National holiday, the following day after the holiday). 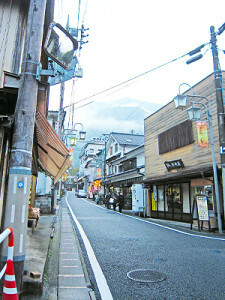 Address : 4226-2 Kaminoyama, Minobu-aza, Minobu-cho, Minamikoma-gun, Yamanashi, Pref. **Please check the scedule in advamce.